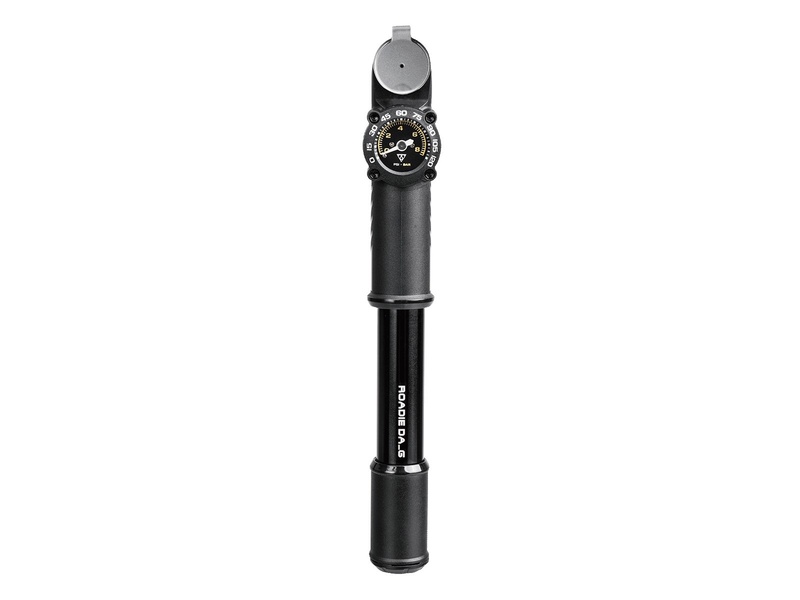 The most compact, lightweight Dual Action pump with gauge that road riders can fit anywhere. Large integrated 1-1/8” diameter easy-to-read analog gauge provides the perfect inflation every time. 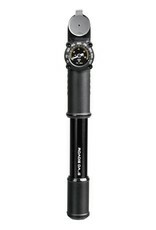 Dual-Action (DA) doubles volume with each stroke and inflates tires to 120 psi / 8 bar. Integrated dust cap keeps pump head clean and thumb lock lever insures air-tight seal. Include mounting bracket.